Most people don’t know what their Expected Family Contribution is and how it impacts their financial aid for college. Why Is My EFC Important? Your Expected Family Contribution (EFC) determines your positioning for financial aid, grants, and scholarships for college. The lower your EFC, the more free money you are eligible for. How do you lower your EFC? That's where we come in. Our dedicated college advisors will walk you through every step. Your EFC is determined by a combination of your household and financial situation. Understanding the factors that are used to calculate your EFC can be complicated, which is why we break down the information into a digestible format and provide a clear roadmap for your next steps. Our goal is to help each prospective college student get as many grants and scholarships as possible. Preparing to pay for college? We help you beat the high cost of a college education. For high school students, college seems like the next logical step – but because of the enormous cost of a college education today, families need help to make sure the college decision makes good financial sense for the entire family. Our certified college planning specialists are committed to making college affordable and manageable for every family and individual. With a vast network of highly trained and rigorously certified experts, we have quickly become a leading authority on the college funding and financial aid process. Let us bring that expertise to your side. As a certified nonprofit, our services are available to any and every one — and better yet, our college planning service is FREE. You literally have nothing to lose and thousands to gain. Welcome to a smarter way to pay for college. Welcome to a brighter, more successful future. 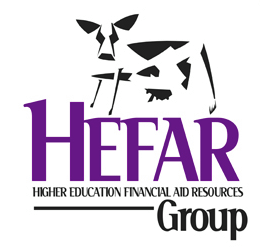 Welcome to the HEFAR Group. ©2018 The HEFAR Group. Do Not Copy.